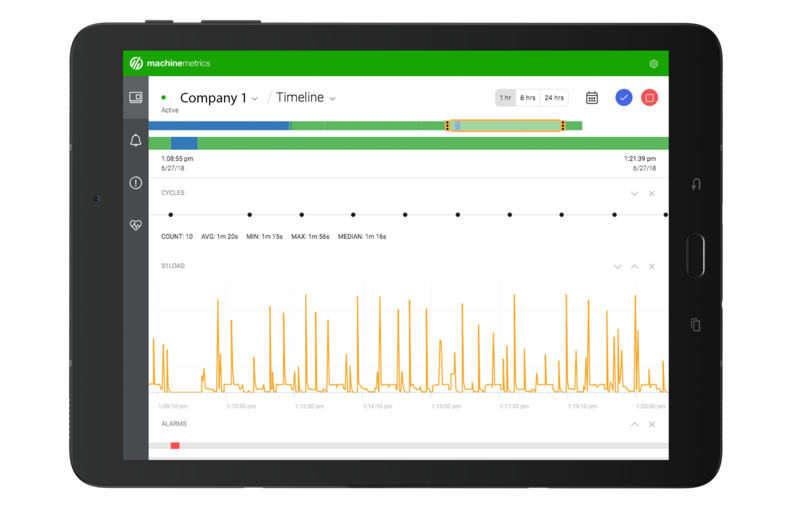 MachineMetrics Health is a predictive analytics application on the MachineMetrics Industrial IoT platform that allows maintenance teams to monitor and manage equipment health in real-time. 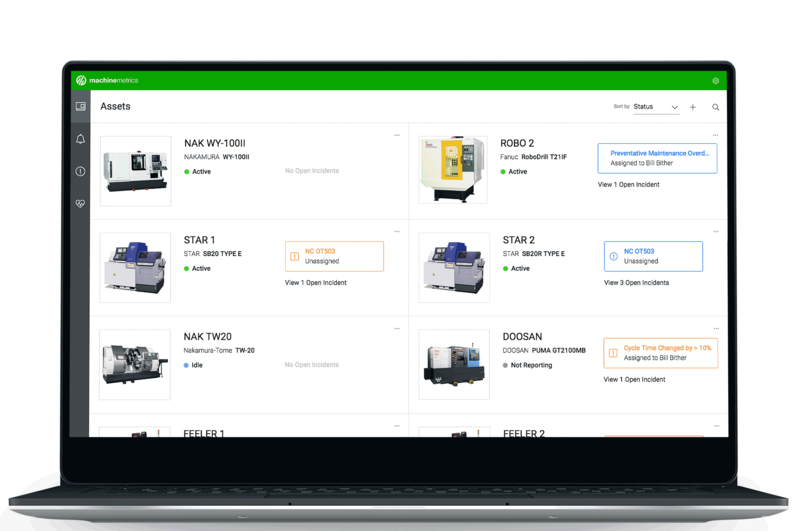 Improve CNC Machine Tool health with real-time diagnostics, condition monitoring, alerts, and preventative and predictive maintenance. What if you could stop a machine before a catastrophic failure? Predict problems—before they cause downtime. 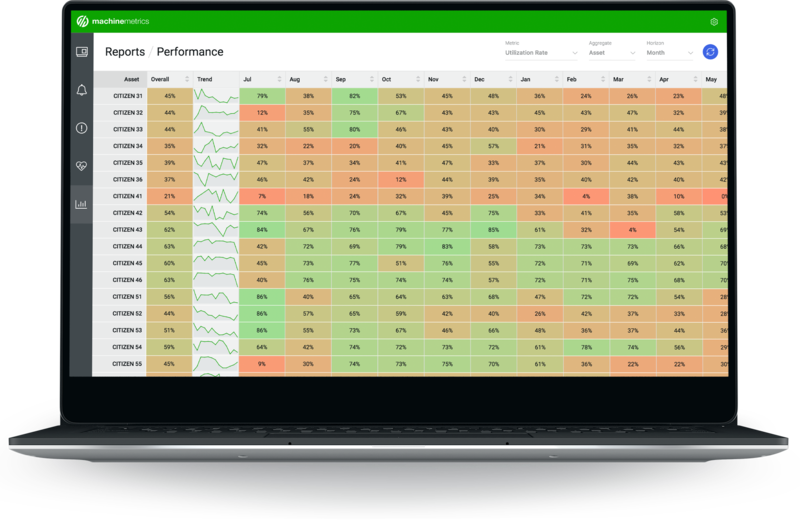 MachineMetrics Health continuously monitors equipment health in real-time to detect problems before causing downtime with patent-pending AI technology. Notify machine operators to change a tool before it breaks. Notify your maintenance manager when an anomaly is detected that could lead to a breakdown. This ability can prevent thousands of dollars of equipment replacement costs and days of downtime. 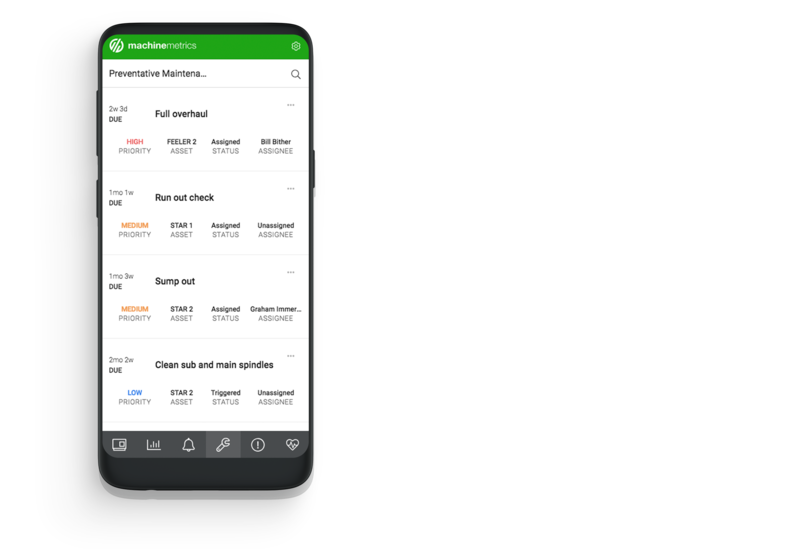 Data is securely streamed to the MachineMetrics cloud and automatically mapped to the MTConnect open communications protocol. 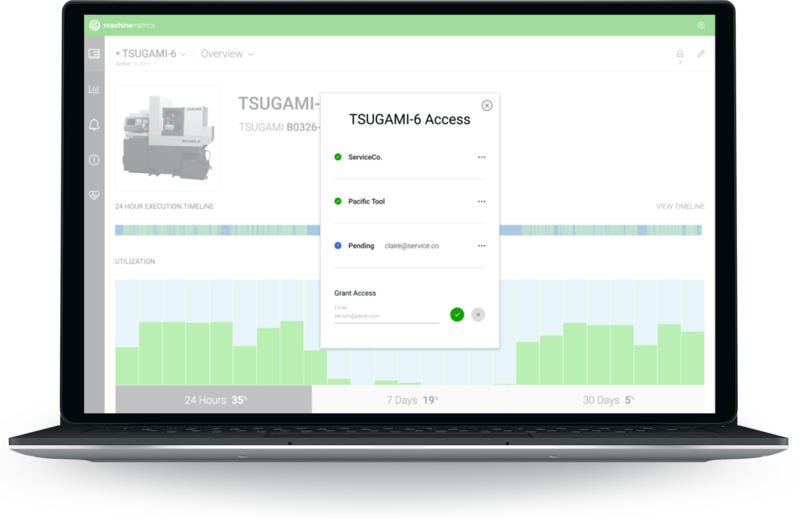 View and manage the status and health of your machine assets. Easily add new assets with the MachineMetrics wifi & cellular edge connected to sensors or the machine's PLC. Alert the right person at the right time when action needs to be taken. 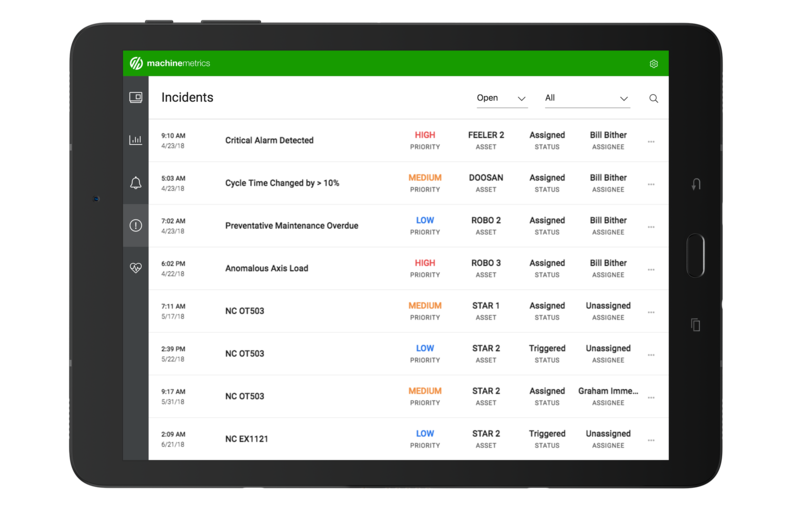 Track incidents through a workflow with reassignment, resolution, and full audit tracking. 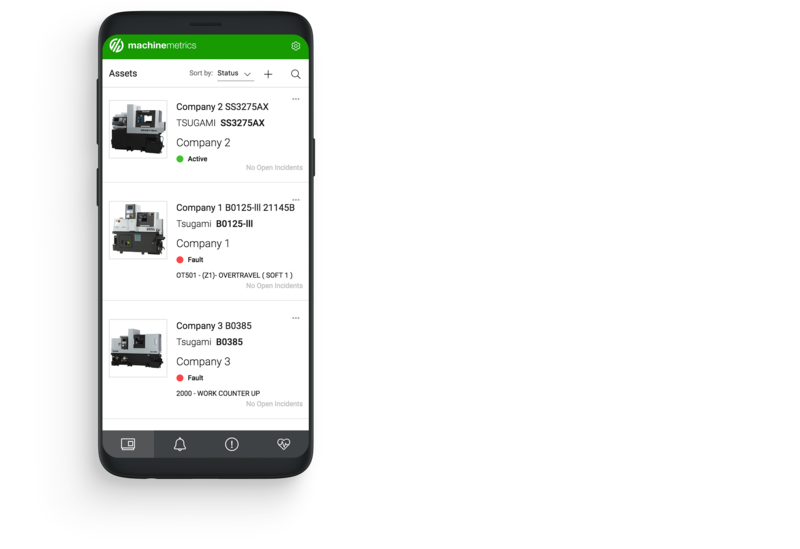 View full history of alarms for each machine, and a summary of alarms across your entire shop floor. Find out what alarms are causing the most amount of downtime, and create monitors that will alert maintenance when specific alarms occur. 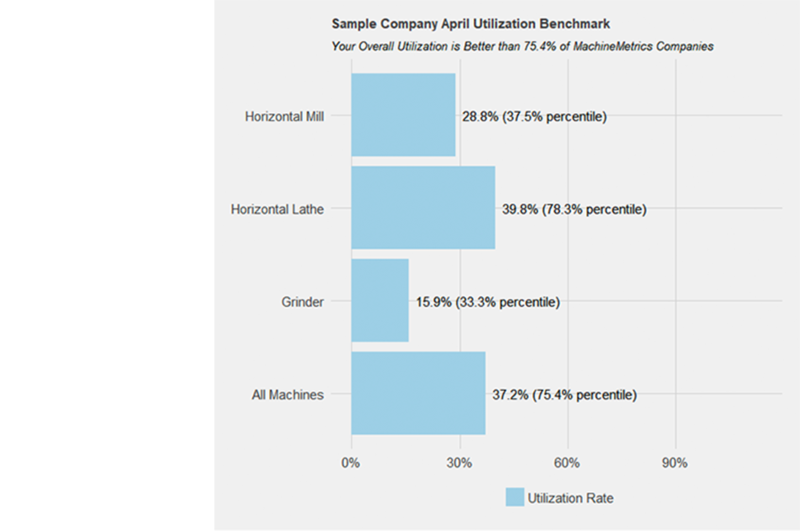 Understand how your machine performance / utilization compares to the rest of the industry, segmented by industry and machine type. If your factory falls in the top 20th percentile, use this information to prove to customers that your factory is world class. Identify anomalous behavior that could result in machine or tool failures up to an hour before it occurs with MachineMetrics patent pending anomaly detection AI. An alert is sent or incident created so that your machine operator can take preventative action. 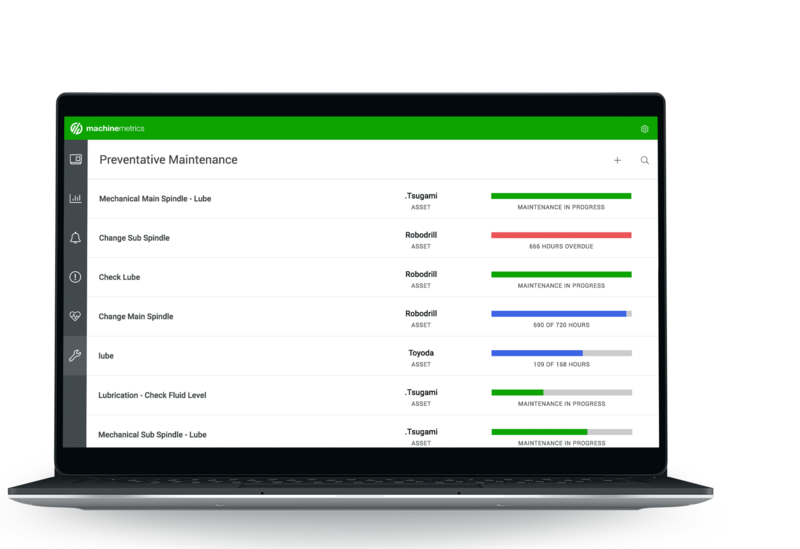 Create and manage preventative maintenance schedules that are tied to calendar time, usage time, or initiated from machine conditions. Assign maintenance tasks through a workflow. Initiate a maintenance request when a machine condition has exceeded a limit or when our AI predicts a likely failure. 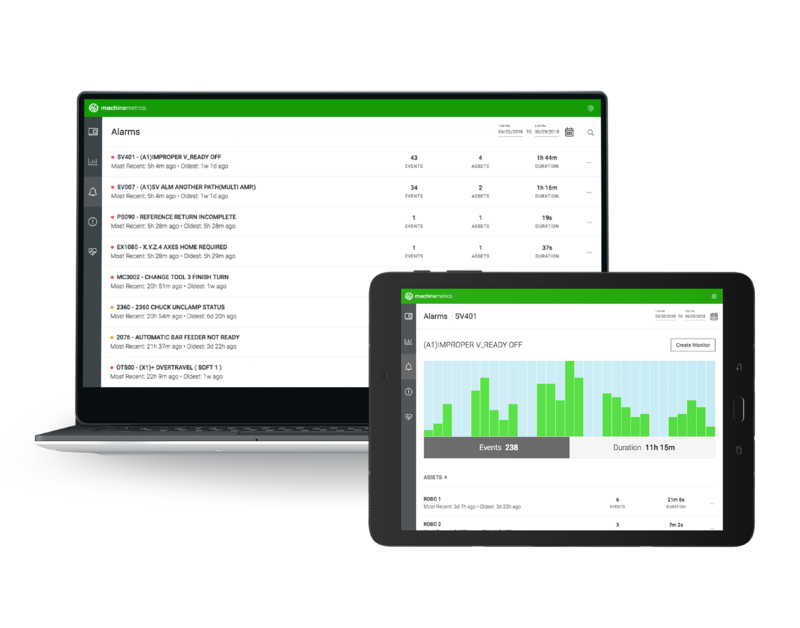 Instantly share machine data with your service provider so they can give you remote service and help bring your machines online quicker.